The trees have now mostly lost their leaves so I spend a lot of time raking and leaf blowing. 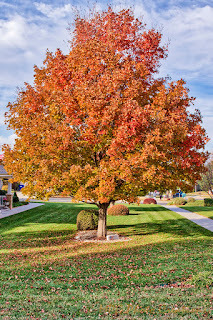 This is an image of a tree at my friend's home while it was showing off it's lovely autumn colors. 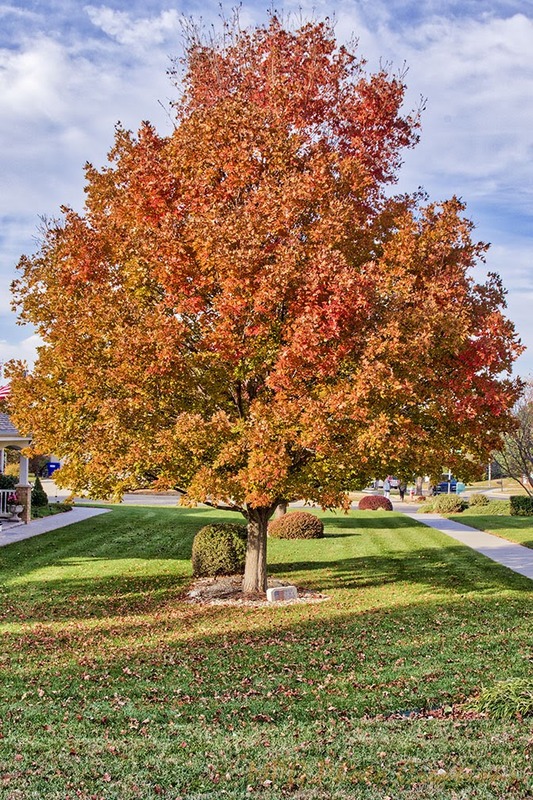 This is a Sugar Maple tree and a quite lovely pop of color.